Our newest addition and completely adorable. 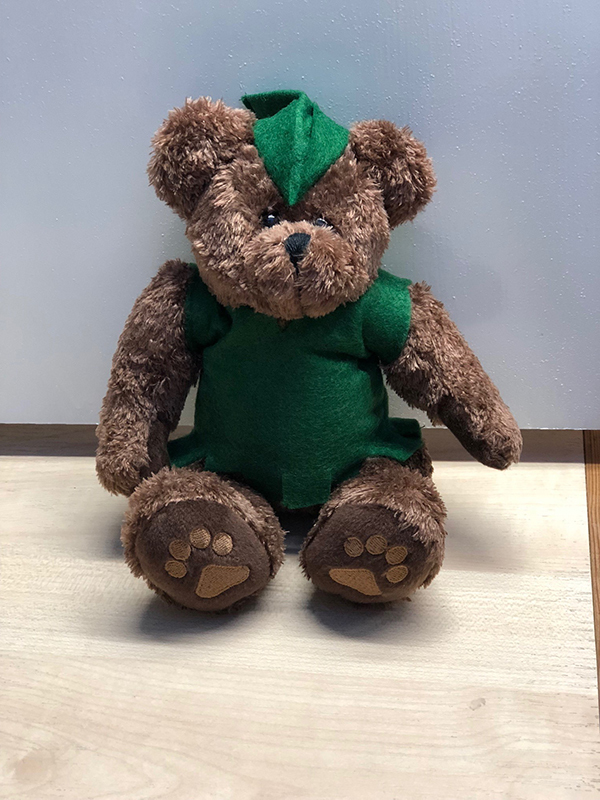 Soft to the touch brown teddy bear dressed in a green tunic and hat. Sits 7" tall.